After three visits to the bustling capital city of Chile, Santiago is a bit like home for me now. It’s a fascinating and complex city to explore, with a lot of under-the-radar things to do and see. With grungy, bustling nightlife, historic museums, and views for miles, it’s worth taking a bit of time to explore the many things to do in Santiago, Chile. While you might be tempted to skip Santiago, I strongly recommend stopping here for a day or two. Santiago was my gateway to Chile back in 2013, and I just happened to be there during the annual fiestas patrias celebrations (which were awesome!). I remember being totally awestruck by the mountains surrounding the city and the friendliness of the Chileans there. In 2016 and again in 2019, I returned to find the same beauty and hospitality I experienced before. To help you plan your trip, I’ve compiled this complete list of my favorite things to do in Santiago. While there are definitely fewer “tourist sites” than other large capital cities, I’ve found that the beauty of this place lies in its relaxed local experiences, charming neighborhoods, and picturesque viewpoints. From busy food markets to the highest tower in South America, here’s your comprehensive guide to the best Santiago activities. Located on the “riverside” (which is usually, you know, a running stream of mud), Bellas Artes is one of the most fun and tourist-friendly areas to stay in the city. Home to the national Bellas Artes museum, there’s a metro station (green line) as well as tons of cafes, restaurants, and bars. My #1 favorite boutique hotel in the entire city – Casa Noble Boutique Hotel – just so happens to be here. Created by innovative entrepreneur and architect Rocio Valdes, it’s a giant old house-turned-hotel with gorgeous decor and lots of natural light. Located on a cul-de-sac on the end of a quiet street in Bellas Artes, Casa Noble is in the perfect location without sacrificing peace and tranquility. Located very close to the main attractions in Santiago, Santa Lucia and Lastarria are some of my favorite neighborhoods to walk around. They’re located right next to each other, which is why I’ve grouped them into one section here. In Lastarria especially, there are TONS of cute bars and restaurants to eat in (including some of my favorites in the whole city…but we’ll save that for later). In this area, Hotel Cumbres Lastarria is a centrally-located, modern boutique-style hotel. While I haven’t actually stayed there, it comes highly recommended by travelers. Poker Hostal is a great budget-friendly alternative. In its grungy, hippie, colorful glory, Bellavista is to Santiago as Austin is to Texas. With its bars, restaurants, and cheeky street art, it’s a very lively place to stay in the heart of Santiago, and there are always people out and about no matter the time of day. Bellavista is also home to one of the three houses that famed Chilean poet Pablo Neruda once inhabited. It’s also very close to the Cerro de San Cristóbal, which boasts one of the most beautiful views in the city. In Bellavista, I’ve stayed at the Tinto Boutique Hotel, which was adorable and cozy and really reasonably priced! There’s a pool, a restaurant, and a bar there that seemed to be really popular…though admittedly we didn’t really take advantage of any of them. I’ve also eyed the beautiful Aubrey Hotel every time I’ve visited Santiago. It’s a big old mansion located right next to the San Cristobal funicular car, and it’s GORGEOUS. I’ll stay there eventually…I hope. If you’re looking for something a little more budget-friendly near Bellavista, try Hostal Forestal. Located near the Parque Metropolitano, Providencia is an awesome and budget-friendly neighborhood to stay in Santiago. While it’s a bit longer of a walk from the main attractions, staying in Providencia will give you a unique look into local life, as it’s a largely residential neighborhood in many areas. There are many large chain hotels in Providencia, but save your dollars for the smaller boutique hotels and hostels instead. If you’re looking for a great place to stay in Providencia, check out the super-cute Maison Italia 1029, a brick-walled boutique hotel in a walkable location. Views on views from the Plaza de Armas in Santiago. One of the great things about flying into Santiago’s Benito Arturo Airport (SCL) is that it’s really easy to get to downtown Santiago. I strongly recommend SKIPPING the taxis at the airport and instead either using a shuttle service or public transportation. For the shuttle, I recommend getting a TransVIP right out of the terminal. Usually you don’t have to wait more than 10 minutes for them to fill up, and it costs ~$7,000 CLP to the city center per person. I’ve used many of the different shuttle services, but I like TransVIP the best because of their timely service and courteous drivers. If you choose to take public transportation, head out of the airport to the bus pickup area and catch a green Turbus. It should cost $1,900 CLP to Pajaritos bus station, where you can catch the metro to wherever your hotel is. Santiago has a very well-built metro system that spans most of the areas of the city that you’d want to go. At the time of writing, each ride cost ~800 CLP or less and will take you basically anywhere in the city that you could want to go, including the major bus stations. You’ll need to buy a rechargeable BIP card beforehand, which is ~1,000 CLP. If you’d prefer a private ride, there are taxis all over the place. To avoid getting ripped off, be sure to have an idea of how much you should pay from point A to point B. Despite being a city full of drivers, Santiago is a fairly walkable city. If you’re staying in the central downtown area and going to the main attractions, you don’t need a car at all. The last time I went, I simply wandered around by foot most of the time. If you only have a weekend in Santiago, you probably can’t do everything. Below, we’ve listed out a few of our favorite highlights and hidden gems to help you pick and choose the best things to do in Santiago, Chile. Whenever I arrive somewhere new, I always look for a local free walking tour. Before going into full-on exploration mode, I always think it’s important to orient myself to and learn some historical context. 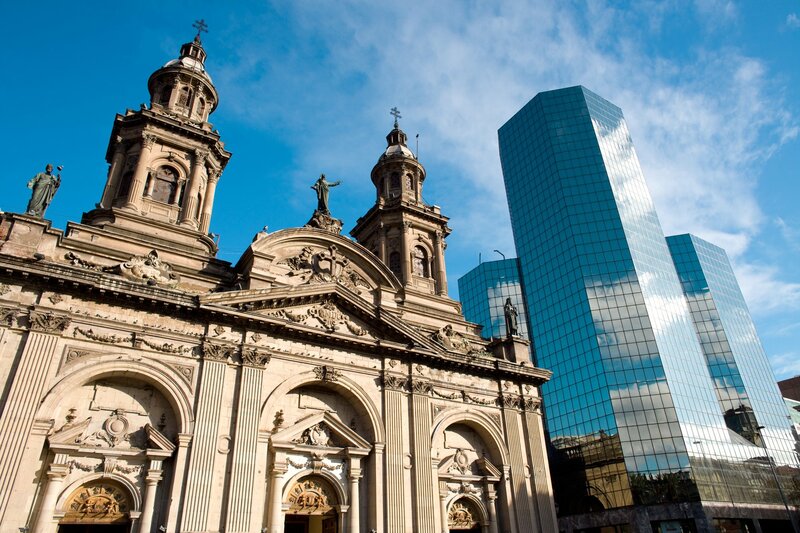 The Free Tour Santiago Walking Tour is the perfect way to do exactly that! The tours leave from Plaza de Armas at 10 AM and 3 PM every day and last for ~4 hours. I recommend getting there a little bit early so you can wander around Santiago’s bustling main square. Stake out a park bench, grab a newspaper, and watch the world go by before heading on the tour. 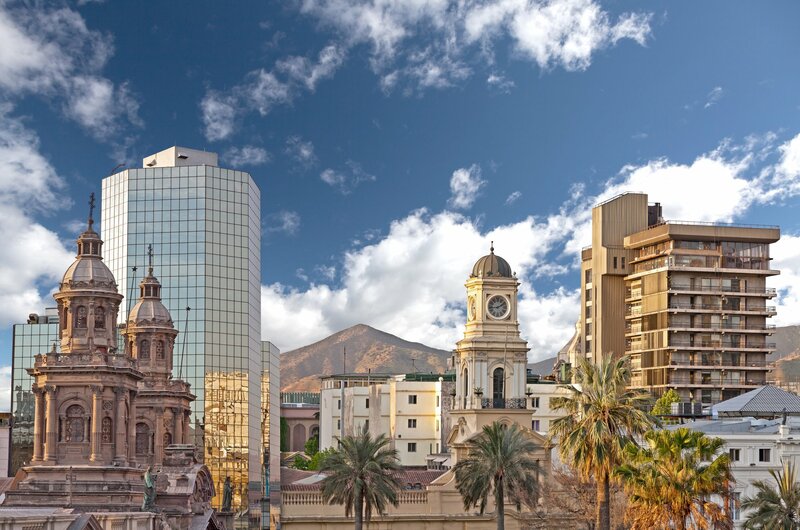 On the tour, you’ll learn all about the history of Chile and its people. The guides also explain the natural and political events that made Santiago what it is today as you pass by important landmarks like the Palacio de Moneda. There’s also a 30-minute stop in the middle of the tour for empanadas and mote con huesillo, a traditional Chilean dessert/drink. I loved the tour because it was a great way to take an initial spin through the city. We also got access to the expertise of a born-and-raised Santiago local. He gave us fabulous recommendations and helped set the scene for the rest of the trip. Pro tip: Take the afternoon tour, which ends at La Chascona. Then, walk 5 minutes and catch the San Cristobal Funicular Car. You’ll arrive at the top of the hill to catch the views without the mid-day heat. 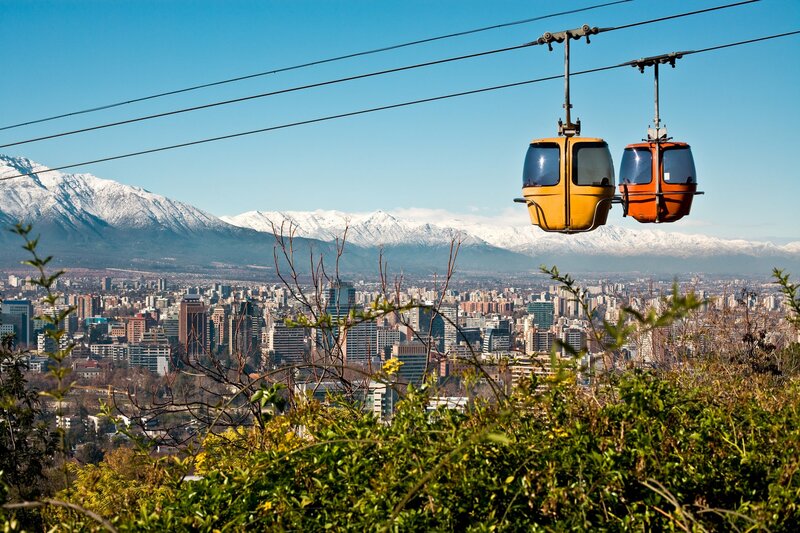 Speaking of amazing views, San Cristobal isn’t the only one that Santiago has to offer. There are tons of viewpoints all over the city that each offer unique views surrounding area. Cerro de San Cristobal: The iconic San Cristobal Hill overlooks the entire city. To get to the top, there are two options: a) take a funicular car up the side of this hill for 2,000-2,600 CLP or b) walk/bike up using the various footpaths around the Parque Metropolitano. Within the surrounding park area, visitors can find over 700 hectares of green space, the city zoo, and a separate cable car system (teleférico) for even more city views. Personally, my favorite thing to do at the top of this hill is grab an ice-cold mote con huesillo, walk to the Virgin Mary statue at the top, and then watch the city go by on one of the overlook benches. Sky Costanera: As the tallest skyscraper in Latin America (at a whopping 300 meters of height) and one of the highest in the world, you can bet that the Sky Costanera lookout point has the best views in the city. With 360-degree windows, you can see the entire city, the hills, and the mountains. It’s a bit of a steep price to enter the observatory, but if you are looking for the best city views of Santiago (or bragging rights), I highly recommend it. Cerro Santa Lucia: You might think that between San Cristobal and Sky Costanera, the shorter Cerro de Santa Lucia would pale in comparison. However, this small park is by far my favorite of the three, with its winding, garden-laden paths and historic buildings leading up to yet another stunning city viewpoint. Pro tip: Avoid the viewpoints during the middle of the day, and instead opt to visit in the late afternoon when the sun is low in the sky. You can ride the teleferico in San Cristobal for some really epic city views! La Chascona is the former home of Nobel Prize-winning poet Pablo Neruda. While you may not have ever heard of Neruda, he was undoubtedly one of the most important historical figures in Chile. In addition to his writings, he was deeply involved in politics and was close with Chilean President Allende in the mid-1900s. In Chilean slang, “Chascona” means curly-haired person. Knowing this, it might seem strange that Neruda chose this as the name for his home. However, if you dig a little deeper into his history, it all begins to make sense. La Chascona is one of Neruda’s three homes in Chile. The others are in Valparaiso and Isla Negra. His last wife, Matilde Urrutia, was a curly-haired woman from which Neruda derived the name for his home. During his life, Neruda had many lovers and wrote constantly about themes of love and loss. He dedicated this home to his last wife before his death in 1973. During the 1973 coup d’etat in Santiago, La Chascona was largely destroyed. This was around the same time that Neruda passed away. The home was later refurbished and converted into a museum with the help of Matilde and the Pablo Neruda Foundation. Upon walking inside, you can find a dissection of the poet’s creative and jumbled mind. The house is laden with seemingly random trinkets, secret rooms, and weird art. When you enter, you’ll get an audio guide to explain the interesting things in various rooms of the house. Although I’m a self-proclaimed museum avoider, I have to say that I really loved Santiago’s Museo de la Memoria y Derechos Humanos (Museum of Memory and Human Rights). I loved it so much, I went TWICE in one trip. It’s an absolutely spectacular confession of wrongdoing and a tribute to the political prisoners in Chile. Inside, you’ll find a haunting account of the military regime and political imprisonment in Chile which lasted from September 11, 1973 until 1990. The tl;dr is that, for 17 years, innocent Chileans were taken into custody and tortured by the military officials under the dictator, Pinochet. Thousands of people died or went missing, even to this day. 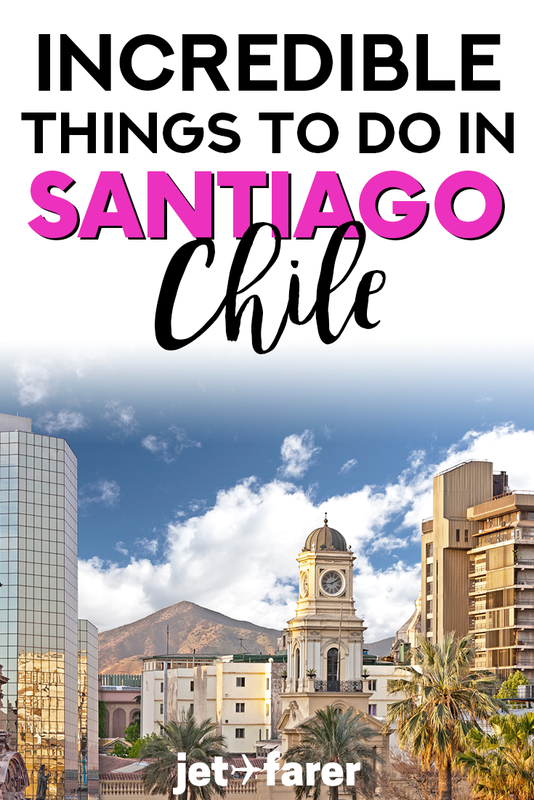 While this admittedly isn’t one of the “fun” things to do in Santiago, it certainly is fascinating. Moreover, it is an important place to visit to understand how Chile arrived to where it is today and the political climate that many of its current citizens had to endure. 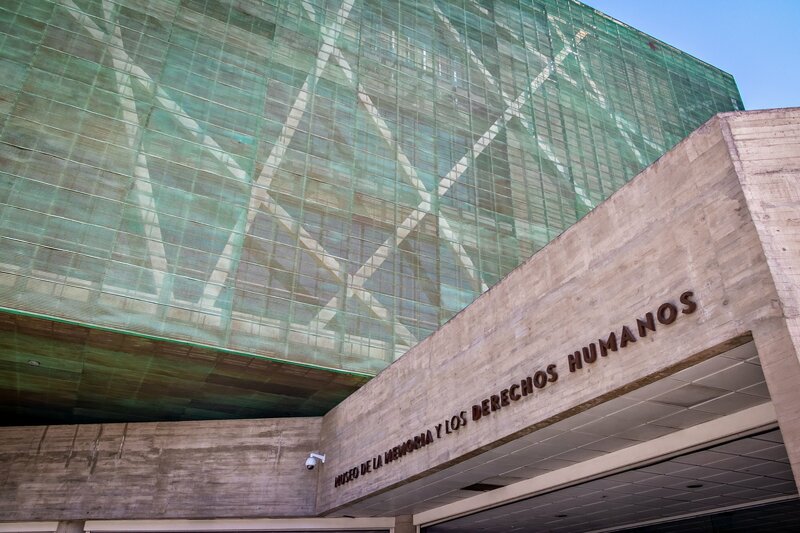 The Museum of Memory and Human Rights is definitely one of the best museums in Santiago. 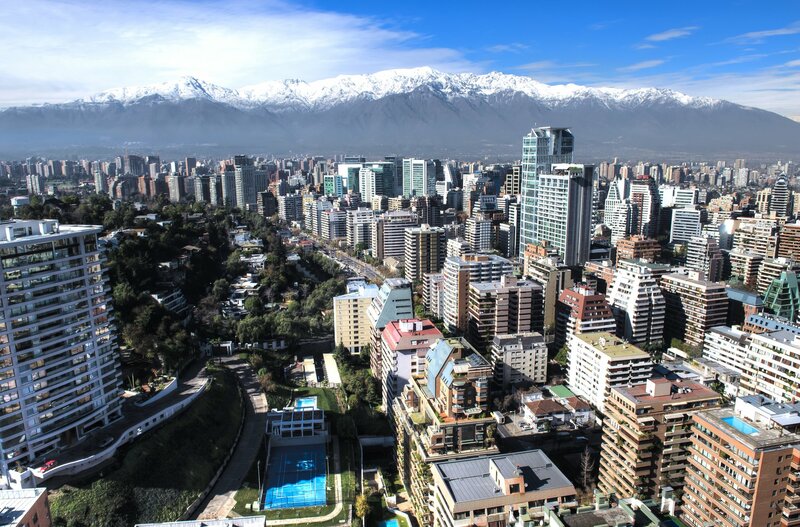 For decades, Santiago has been a home to a huge population of artists, musicians, writers, and more. There are tons of places to see this art, from colorful street graffiti and murals to the art museums in the area. If you prefer fine art, head to the Museo Nacional de Bellas Artes, which is a huge building located smack dab in the middle of Bellas Artes neighborhood. For contemporary art lovers, wander to Lastarria’s Museo de Artes Visuales. Ancient art enthusiasts will enjoy the amazing displays of indigenous art at the Museo de Arte Precolombino. Or, if you’re like me and enjoy seeing art in open air, simply wander around Bellavista for some epic street art and murals. Chilean food: talk about an entire cuisine that’s flown under the radar forever! First of all, Chilean cuisine ranges drastically depending on where you are in the country. Second, you can find tons of great Chilean dishes right here in the heart of the capital city. If you’re wondering what to do in Santiago to learn more about the local cuisine, consider this your guide. Many Chilean dishes incorporate some kind of meat or protein, corn or wheat, and local vegetables. There’s also AMAZING seafood all over the country due to its skinny shape and proximity to miles and miles of coastline. Chorillana at El Palacio de la Chorillana: Chorillana is to Chile as poutine is to Canada. It’s a rich, delicious, savory french fry dish that you can find anywhere that serves alcohol (yup, you guessed it, chorillana is a bar food!). Traditional chorillana consists of crispy french friends topped with egg, sauteed onions, and sliced beef. However, some of my favorite variations include spicy shrimp and mushrooms with cheese. There’s no better place in Santiago to try traditional chorillana and endless variations at El Palacio de la Chorillana in Bellavista. Pastel de Choclo at Galindo: One of the most beloved recipes in Chile is pastel de choclo, or a baked corn cake stuffed with chicken and beef. Usually, they serve it right out of the oven in a cast iron pot, smoking hot and deliciously crumbly. When I was in Santiago, I tried the pastel de choclo at Galindo in Bellavista and it was easily one of my favorite meals. Seafood (paila marina and ceviche) at the Mercado Central: The Mercado Central is Santiago’s fish market, and you can literally smell it from a mile away. But, honestly, I love the smell of fish markets which made me even more eager to visit and taste some of the local fish dishes. There are a bunch of touristy restaurants in the main dining hall of the market. SKIP THEM. Instead, I strongly recommend going to the corners of the fish vendor area and eating at one of the small restaurants or stalls there. I tried the local paila marina (seafood soup) and ceviche and they were both super fresh and absolutely delicious. Machas a la parmesana at Casa Lastarria: Even if you don’t like clams, it’s worth tasting the delicious machas a la parmesana in Santiago. 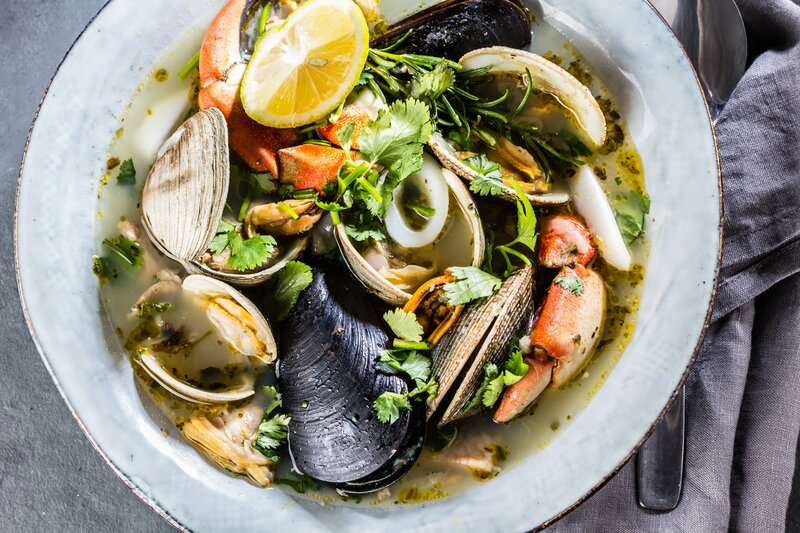 These are literally steamed clams covered with parmesan and herbs and baked to perfection. I had them at Casa Lastarria along with a glass of Sauvignon Blanc and I was literally in heaven. Empanada de Pino: You can’t miss the little window shops in Santiago that serve up all kinds of empanadas. While there are tons of varieties, the traditional Chilean kind is the empanada de pino. Inside, you’ll find a steaming mix of beef, onions, spices, a hard-boiled egg, and an olive. Be sure to try them fresh and del horno, or from the oven, rather than fried. Completos: While you might look at a picture of completos and think they’re just ordinary hot dogs…they’re not. Chilean hot dogs are a special breed that come fully loaded with smashed avocados, mayonnaise, ketchup, and spicy pepper sauce. They’re great drunk or sober…I don’t judge. Paila marina at the Mercado Central is literally the most delicious thing I think I’ve ever eaten. Ever. If there’s one thing I’ve noticed literally every time I’ve been to Chile, it’s that Chileans LOVE their national drinks. From pisco sours to fine wines, the selection of flavors and liquors in the country is pretty impressive. There are bars EVERYWHERE in Santiago where you can try said beverages. Mote con Huesillo on San Cristobal: While it’s not an alcoholic beverage, this “drink” deserves a spot on any drink list in Chile. A local favorite, especially in the heat of the summer, mote con huesillo is a sweet drink that consists of just three ingredients: soft barley, peach juice, and a dehydrated peach. You eat it with a spoon to enjoy the chewy barley in the peach juice, kind of like cereal with milk. While local Chileans typically make it at home, you can find it on virtually every corner of Santiago at a street cart. However, I’d recommend grabbing one at the top of Cerro de San Cristobal because it’s even more delicious with a view. Wine: Chile is famous around the world for its wine, and the country is home to a vast grape-growing and winemaking tradition. There are 5 wine regions in Chile, with several subregions scattered across its vast length. Some of the most famous grape varietals in the country that you have to try include Carmenere, Sauvignon Blanc, Syrah, and Pinot Noir. In Santiago, be sure to stop at Bocanariz (reservations required) for one of their several wine tasting flights of Chilean wines. Craft beer: In addition to the major beer brands in Chile, Santiago is home to a bunch of small, independent craft brewers. Jose Ramon 277 is my favorite craft beer and sandwich shop. They have beers ranging from IPAs to dark beers, and delicious sandwiches (veggie options included) to go with them. Pisco sour: Pisco, lime, sugar…what more could you ask for?! While you might be tempted to attribute this famous cocktail to Peru, it’s actually a heated debate in this region of the world. Chileans do it a bit differently – usually without the frothy egg whites – so the flavors of the lime stand out quite a bit more. Try both in Santiago’s famous Chipe Libre pisco bar and let me know which one you like better! Terremoto: Santiago’s pride and joy is a stretch, but the bars here will try to persuade you to try a terremoto at least once while you’re here. It’s worth a sip, but BEWARE: the terremoto is strong. It’s a mixture of cucumber wine and grenadine, topped off with pineapple ice cream. Some people love it, some people hate it (me), but it’s worth a try in Santiago to decide which group you fall into. If you haven’t noticed by now, Santiago is a really laid-back city. There’s not a TON of super touristy activities or Instagrammable spots. But what Santiago lacks in downright gimmicky locales, it makes up for in amazing walking streets and neighborhoods to explore. Barrio Italia: Probably the cutest and most charming neighborhood in Santiago, Barrio Italia is filled with the most colorful antique shops and delicious eats. If you choose any neighborhood to spend the afternoon, GO HERE. Lastarria: Adorable walking street lined with bars and open-air cafes. You can’t miss a meal on the terrace at Casa Lastarria – they’ve got amazing food and wine at decent prices, and their patio is the cutest in the city! Bellas Artes: Busy shopping area and hangout spot near the Museo Nacional de Bellas Artes. 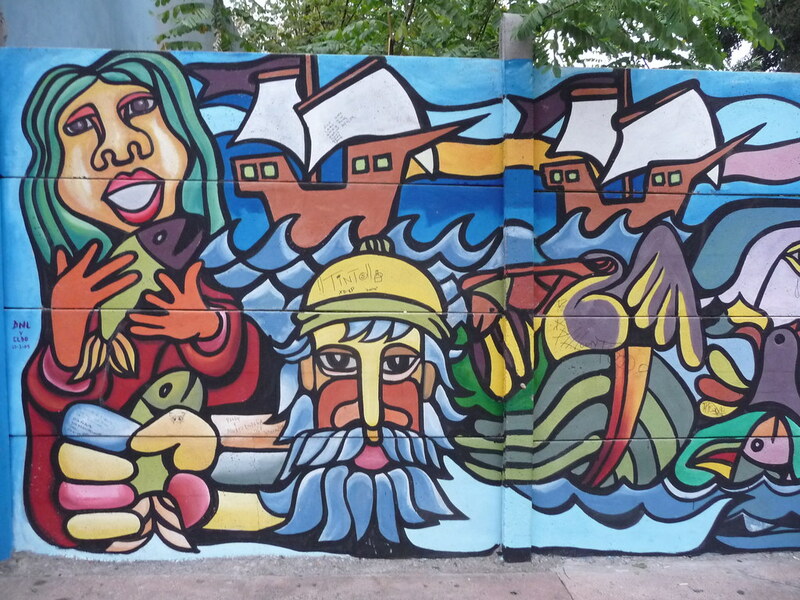 Bellavista: Bumping nightlife spot and street art area near La Chascona and San Cristobal. Be sure to visit the Artisan Market and the Patio Bellavista for a drink or ice cream while there! Providencia: A cool, hip residential area surrounding the Parque Metropolitano. Lots of shops, cheap eats, and local hangout bars. Be sure to grab a coffee and pastry and enjoy the vibes at Triciclo Cafe. Vitacura: A largely residential area with lots of fun brunch spots and parks to walk around. 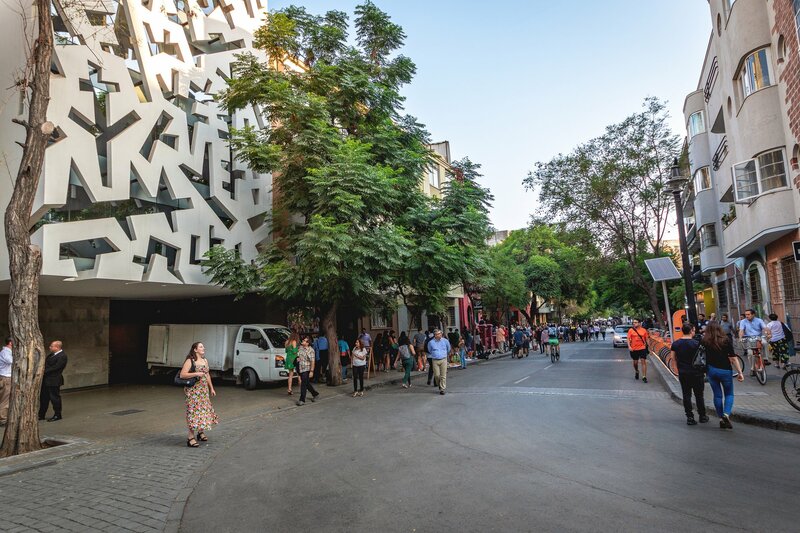 Lastarria is one of the best neighborhoods to walk around in Santiago. While not *technically* in the city, taking a day trip is undoubtedly one of the best things to do in Santiago. The areas surrounding the city range from breathtaking mountain ranges to delicious wineries, and they’re ALL worth taking a visit to if you have more time in the area.